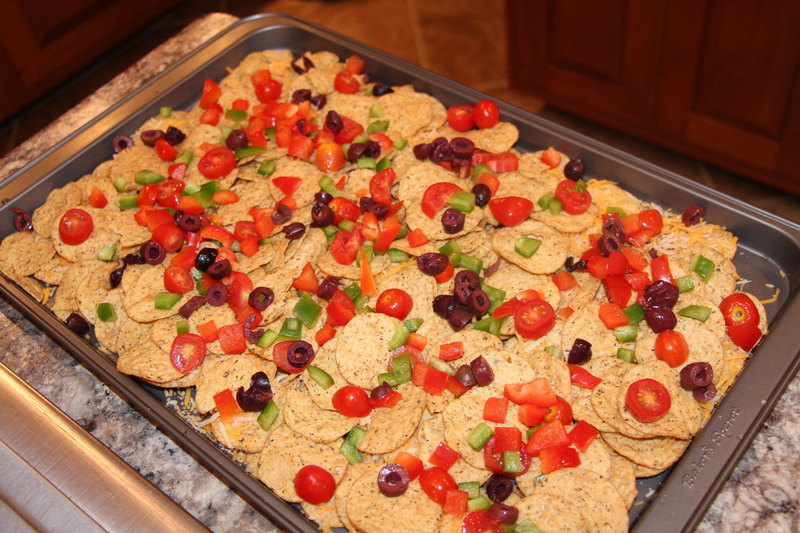 Nacho night is a very big hit at the Hamilton residence. It is hands down our favorite snack to make on the weekends. You know, when you just want to pig out and relax! And because we make them so often (not proud of this), I’d like to think that we have mastered the art of nacho making. We have a technique, a few special ingredients and 3 very important side dips to top it off. Keep reading to find out what makes our nachos the best, and then try them to see what the fuss is all about! Enjoy! 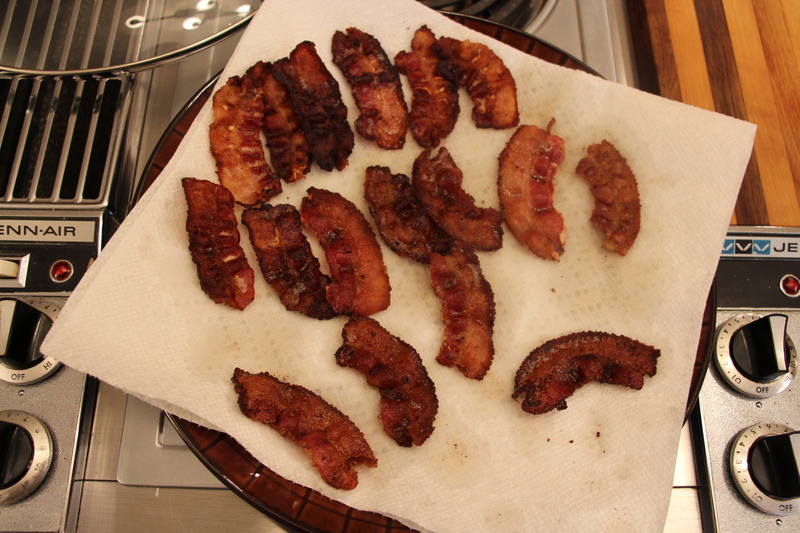 Step 1: Fry the maple bacon for 10 minutes on medium heat, flipping occasionally. I like my bacon super crispy so I cook it a little longer. Set aside on paper towel to let the grease absorb. Step 2: Preheat oven to 350 degrees. 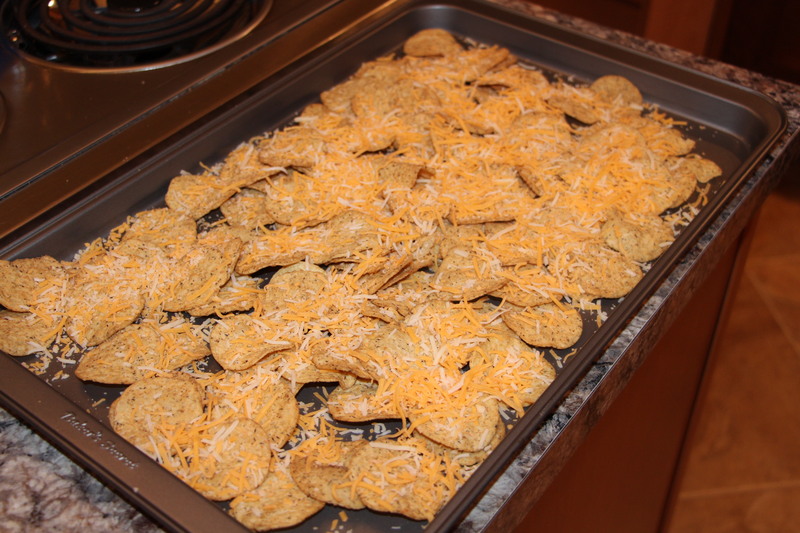 On a large baking sheet spread out half a bag of your chips. You want this to be a thin layer of chips. Top it off with shredded cheese (as much as desired). This is a crucial step for perfect nachos. There is nothing worse then eating all of the toppings off your nachos and then realizing the bottom layer is just chips with nothing on them. Step 3: Spread the remaining chips to make a second layer. Then add your cut peppers, olives, and tomatoes. 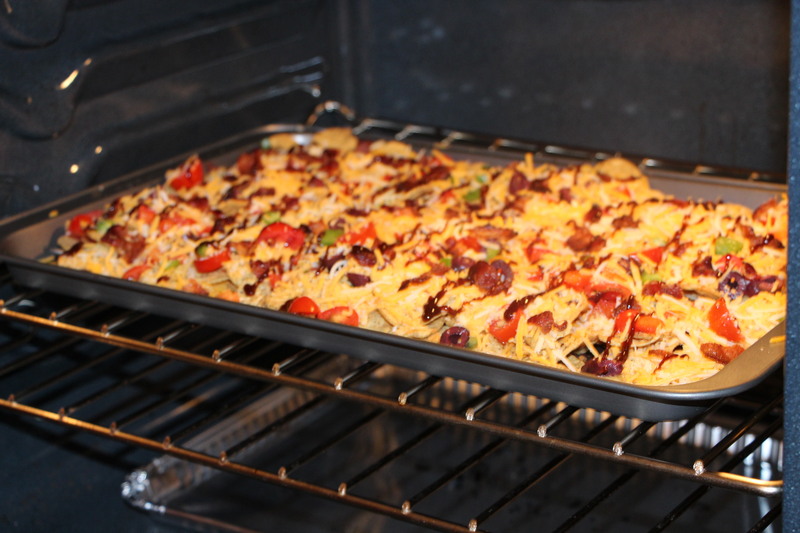 Step 4: Top the nachos off with more shredded cheese, small pieces of cooked maple bacon and BBQ sauce. We put our BBQ sauce in an old vinegar container – it makes it easier to squeeze out evenly. Put in the oven for 10 minutes or until all the cheese is melted. At the very end I put the oven on broil for 1 minute to brown up the corners. Take out and enjoy! Congratulations, you’re now considered a nacho night expert!